Have you ever called a company and been greeted with the phrase “Hold, please”? Does it make you think that customer service is dying? Maybe you can’t hold; maybe you have 10 seconds of juice left on your cell phone and your hair is on fire! Being frustrated, by a lack of customer service is nothing new. It just seems that in the last few years, companies have become more innovative when it comes to not helping you solve your problems. I realize that we are as busy as we have ever been, and that many younger people, were not brought up in the traditional culture of customer service. But none of these excuses will protect your business in today’s challenging economy, where customers are questioning value even with companies they have known for years. Maybe it’s time to get back to basics and make service a real priority. Sure, plenty of companies claim to offer great customer care. But raising your service standards requires more than a promise; you need to set concrete goals and establish effective procedures to meet them. Keep it professional. Smoking cigarettes, slurping a drink, and playing the drums on your desk makes callers feel like they are getting advice from a guy in a bar. Make sure that callers don’t have to repeat themselves. Someone who has explained a problem three times to three different people hangs up angry, whether or not the problem is solved. Display compassion for people who are upset. People who don’t think you care won’t value your solution. Be very clear when you explain a process. When customers don’t know what you’re talking about, they assume you don’t either. Do what you say you’re going to do. When you don’t follow through, people don’t think you have forgotten. They think you don’t care. Establish a simple, easy-to-implement customer service plan. When something is really complicated, it’s hard to tell if it’s working. 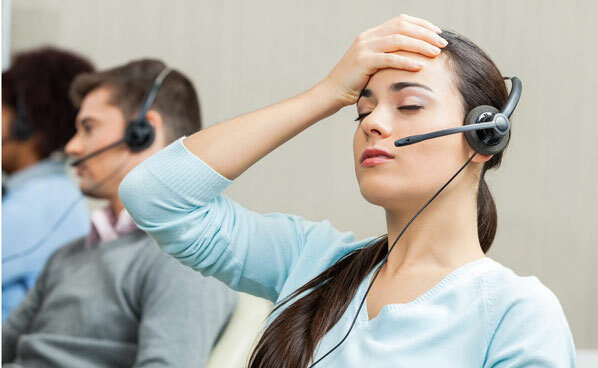 Well, I think customer service will survive—and I feel better now that I’ve written this article—but it’s important that we help nurse that ailing customer service to a full recovery, ensuring a healthy prognosis for today’s businesses. The companies that attract and keep the best customers are usually the most effective at managing expectations and emotions. Successful companies train their people to anticipate customer needs and to solve problems before the customer knows they exist. But before you can do any of this, you have to start with the basics. If you really want customers, set customer service goals. Remember, if you don’t know where you’re going, any road will take you there. Garrison Wynn is a nationally known speaker, trainer, and consultant. He is the president and founder of Wynn Solutions, specializing in turning talent into performance.